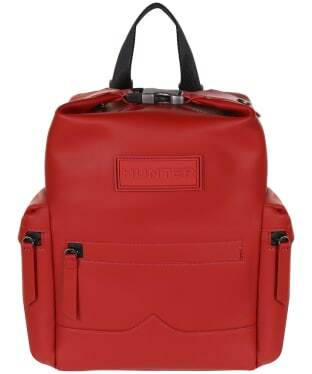 Practical, yet fashion-forward, the Hunter Original Mini Top Clip Backpack is a vibrant, weatherproof backpack that has been crafted from a rubberised leather to ensure that all of your essentials are kept safe from the elements. 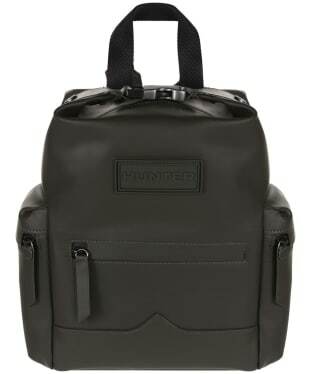 This Hunter backpack features a zip closure which folds up to snap together with a sturdy parachute clip for further security. 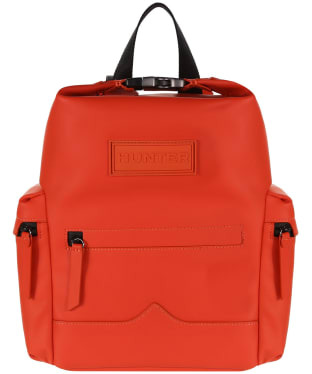 The Hunter Original Mini Top Clip Backpack can be carried on the back with the padded, cotton webbing shoulder straps, or hand held by the grab handle to the top. 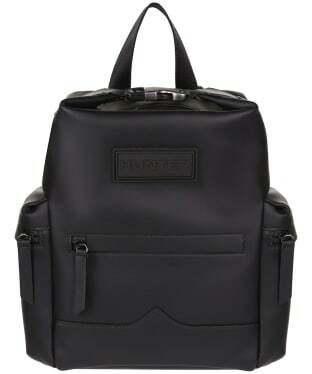 The shoulder straps can be easily adjusted to ensure your comfort and to suit your individual style. 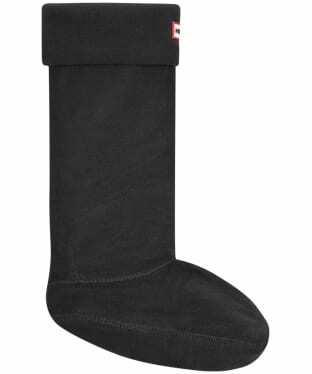 Store essentials safely in the three outer zipped pockets for easy access when you're out and about, while your valuables are secure in the main compartment. 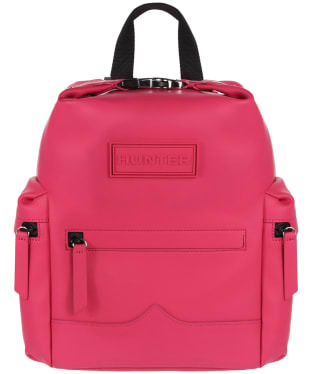 This bold Hunter backpack is finished with a tonal Hunter logo, and features the signature 'Hunter Moustache' to the front to emulate the style of their iconic wellington boots. 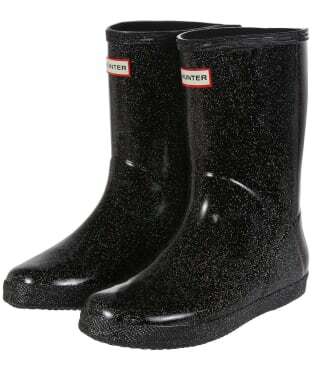 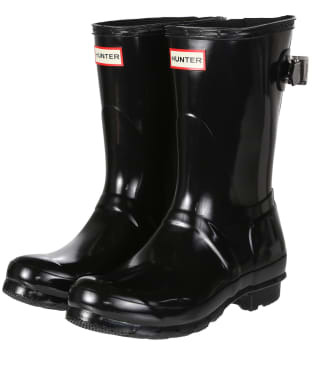 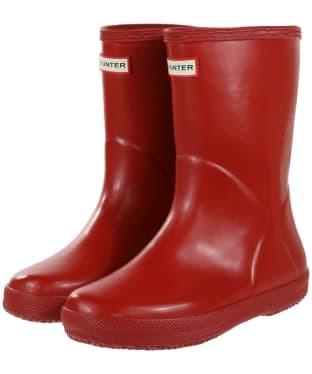 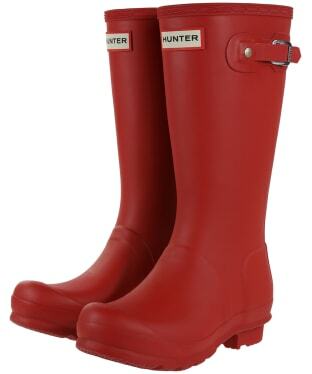 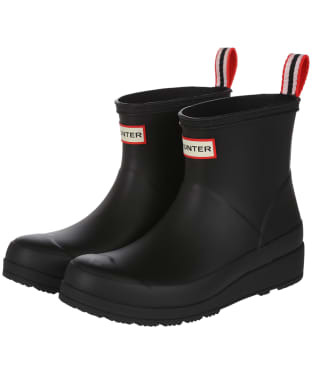 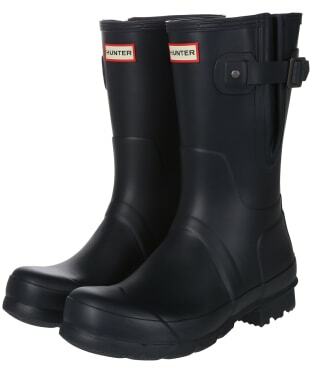 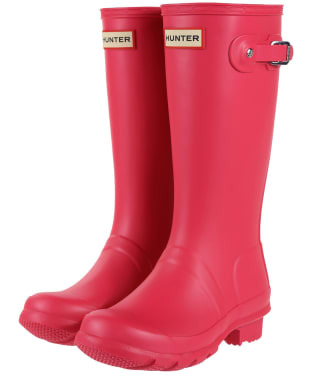 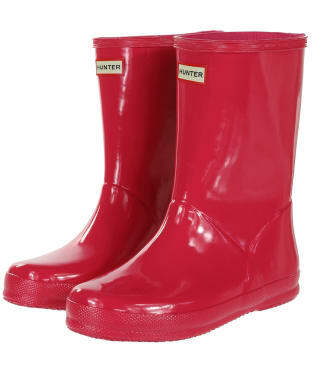 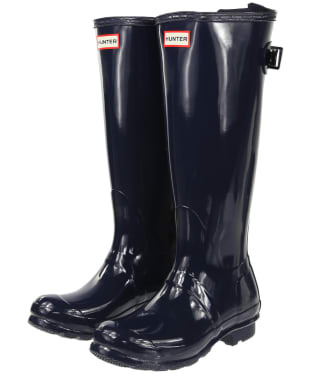 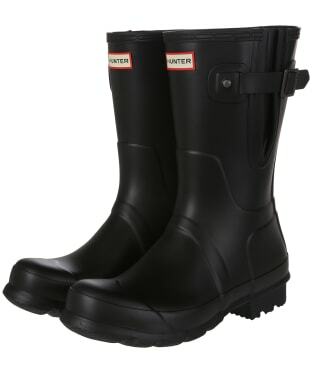 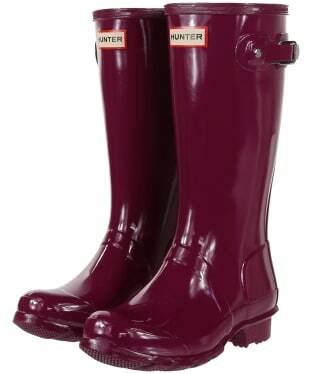 A new addition to the collection, the Women's Hunter Original Seaton Short Wellington Boots are sure to be your perfect partners come rain or shine! 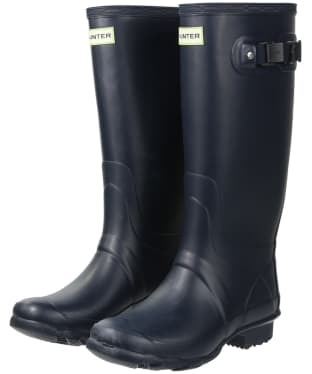 Whether you are out walking through the country, or you are heading into town, these wellies are fully waterproof to keep your feet dry. 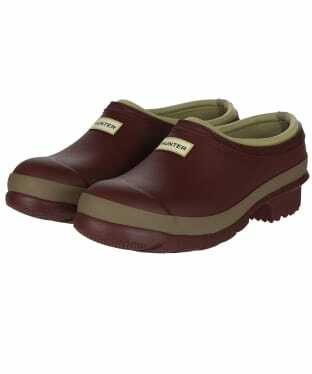 Designed to a short length, the Seaton's have been handcrafted for a premium feel, and boast a super soft fabric lining for added comfort. 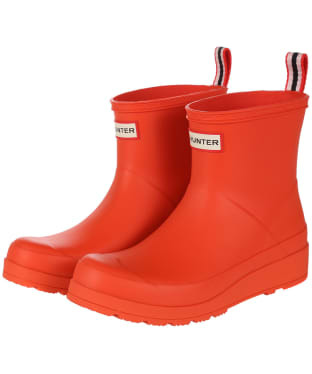 For that iconic feel, the wellington boots have a classic side buckle, and are finished with signature Hunter Original branding to the front and stylish Seaton detailing for that high quality, premium feel that you are sure to love. 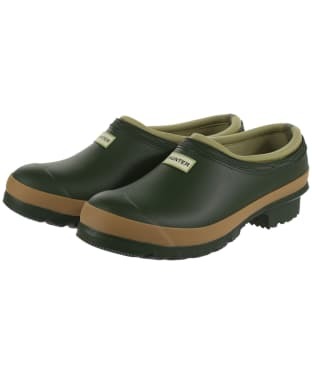 The Women's Hunter Gardener Clogs offer you a convenient slip on style, designed with a wide tread outsole ideal for gardening. 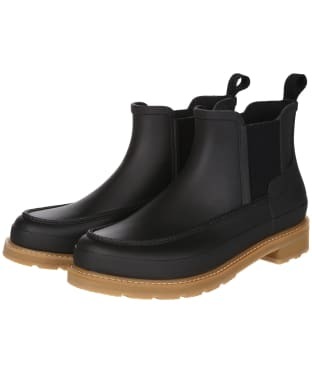 These handcrafted clogs feature a neoprene lining and waterproof foot for added convenience and wearability. 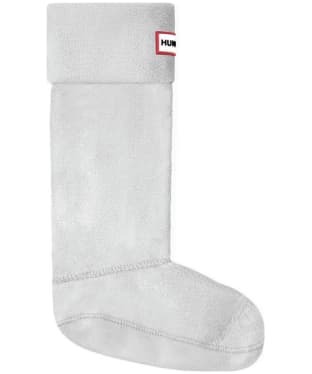 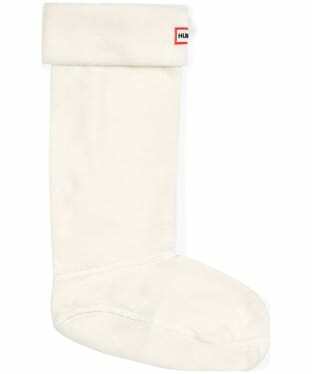 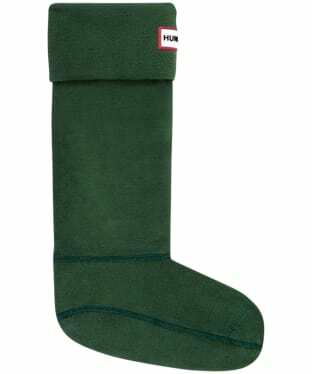 The neoprene lining gives you added insulation and warmth, the ideal clog for the avid gardener. 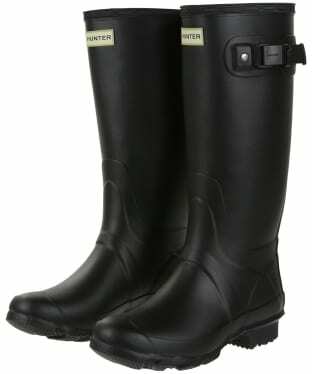 The Women's Hunter Field Balmoral Poly-Lined Wellingtons offer you a practical and robust wellington boot you are sure to love! 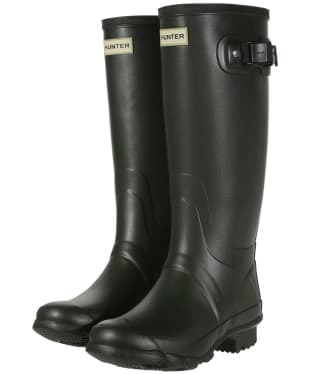 The Balmoral has been handcrafted using a soft natural rubber to offer you a strong yet flexible boot, giving you all the comfort you need for those days on the move. 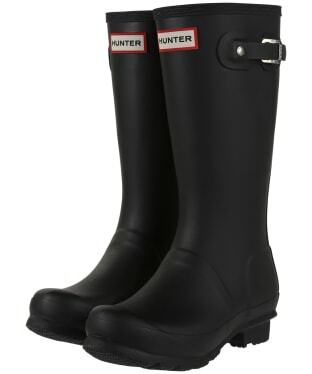 The matte finish and Hunter branding give you an added touch of style and wearability, ideal for this season and beyond. 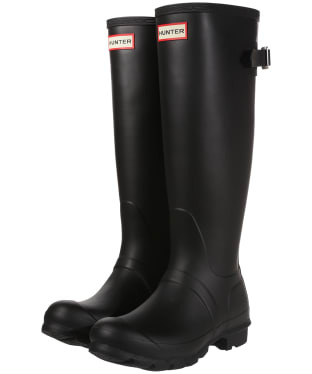 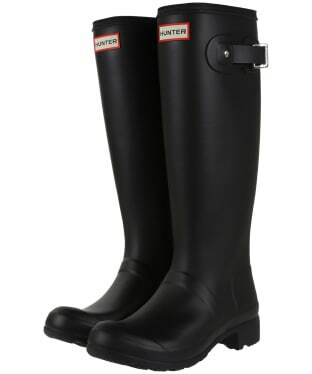 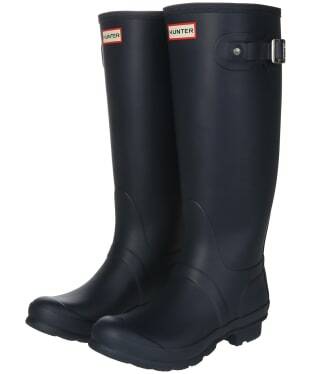 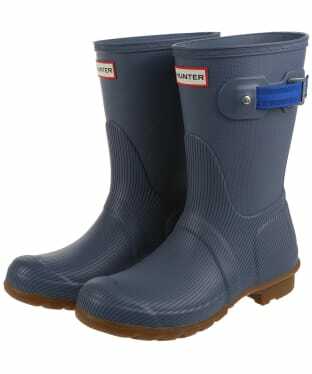 These wellingtons offers you all the features your need for a practical, yet stylish wellington. 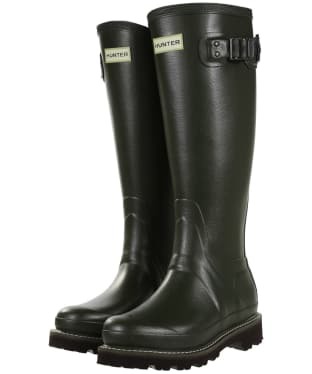 The Balmoral is waterproof and has been finished with a concealed pull tab and kick spur, making it easy to get these wellingtons on and off. 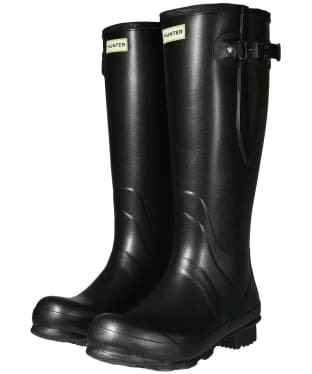 For added comfort these wellingtons come with both a 3mm and 5mm insole so you can adapt the fit to suit your feet, perfect for easing foot fatigue on those long days exploring. 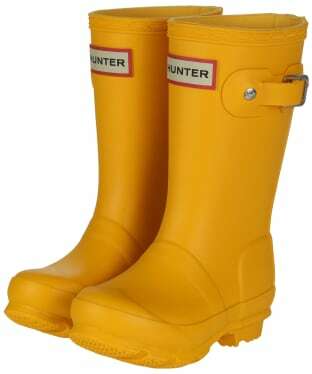 The Vibram® outsole has been exclusively designed for Hunter and offers you high-traction and added durability. 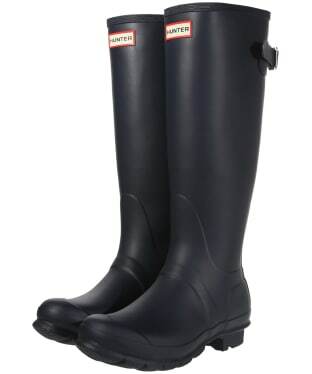 The multi-directional cleats offer you traction on a variety of terrains and easy mud release, these wellington are the ideal companion wherever you may be heading this season!